One of the 5 co-founders of the enormously popular YouTube channel Dude Perfect, which has attracted over 41 million subscribers. The channel is a sports and entertainment brand that specializes in trick shots and comedy. 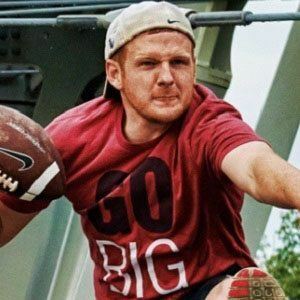 He came together with Coby and Cory Cotton, Cody Jones, and Tyler Toney to form the YouTube channel in June of 2009 while attending Texas A&M University. His nickname in the group is The Purple Hoser. He married a woman named Kristin in 2011. The two have sons named Owen and Lincoln and a daughter named Iris. He and Dude Perfect have collaborated with athletes like Drew Brees and Serena Williams.